Will F-35 Pilots Command a Swarm of Drones in Flight? The U.S. Air Force’s chief scientist thinks so. Over at military.com, Kris Osborn discusses a new U.S. Air Force report to be released next month that outlines how F-35 Joint Strike Fighter pilots will be able to control a swarm of nearby drones from their cockpits while in flight. “We are setting up the ability for an aircraft to take high-level command of UAS [unnamed aircraft system]. Those unmanned aircraft will have to be capable of flying in concert in a safe manner. They will need to be capable of taking high level commands and be able to execute those effectively,” said Mica Endsley, the U.S. Air Force’s chief scientist, in an interview with military.com discussing the report. We see unmanned vehicles being used for a much wider variety of missions. Today they are primarily used for ISR, long duration missions where we want to collect information. In the future, they will be moving cargo and more manned-unmanned teaming where they are acting as extensions of a manned aircraft. The U.S. Air Force is also planning to have its new Long Range Strike Bomber or LRS-B configured to fly manned and unmanned missions (see: “What Do We Know About the US Air Force’s New Bomber?”). 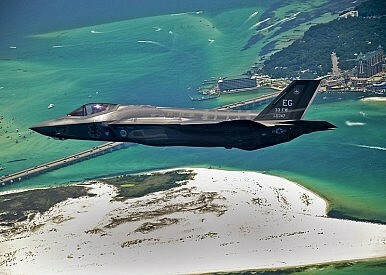 However, will there ever be remotely controlled F-35 Joint Strike Fighters in the air engaging in combat? I don’t think that fighter aircraft are a good target for that kind of autonomy (…)Trying to teach a computer to have the same kinds of perceptual capabilities that people have is very difficult. They have gotten better at object recognition but understanding the context in which that object is operating could be difficult (…)You can have a lot of variability in situations and it is very hard to program systems to handle every situation. People, on the other hand, are much more able to deal with novel or unforeseen circumstances. I don’t believe we will see fully autonomous systems overnight. We are going to see a slow evolution in that direction as we add autonomy to different functions in the cockpit for different functions in the analysis process or in the cyber arena. We want to be sure that we have effective human-autonomy teaming so that people are still going to be able to do their jobs – automation can increase workload if it is not easy to use.